NVPF thanks all who attended, helped, and sponsored! 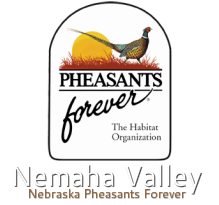 Pheasants Forever (PF) and Quail Forever (QF) will take its annual celebration, National Pheasant Fest & Quail Classic, to Des Moines on February 20, 21 & 22, 2015. The largest show in the country for upland hunters, bird dog owners and wildlife habitat conservationists drew 21,063 people to Milwaukee’s Wisconsin Center earlier this month. 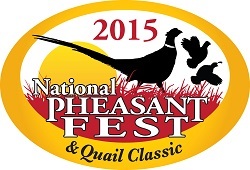 “We are absolutely thrilled to welcome back Pheasant Fest to Des Moines in 2015. As we experienced five years ago, this event has huge impact on our economy as well as educating the public on future conservation issues affecting our natural resources. Let’s just say, 'It’s another (pheasant) feather in our cap to host again! '” said Greg Edwards, President& CEO Greater Des Moines Convention & Visitors Bureau. National Pheasant Fest & Quail Classic offers a platform for conservation discussions which not only affect the host state, but our nation as a whole. U.S. Secretary of Agriculture and former Iowa Governor Tom Vilsack attended the 2010 Pheasant Fest in Des Moines. At the event, Secretary Vilsack announced Conservation Reserve Program General Signup 39. The Conservation Reserve Program has served as one of USDA’s most successful conservation programs and complements an entire suite of Natural Resources Conservation Service (NRCS) led conservation programs. “The event annually draws more than 20,000 people, all of whom care passionately about upland habitat conservation. Pheasant Fest can serve as a platform to help move the conservation needle forward in what has historically been one of the greatest pheasant hunting states in the country,” continued Vincent. The event returns to Iowa for the first time since 2010 when 20,230 hunters and conservationists from across the country visited the 3-day show at the Iowa Events Center. Since 1985, “The Habitat Organization” has spent $45.5 million to complete 111,000 habitat projects in the state, improving more than 1.1 million acres for wildlife. In fact, $10.3 million has been cost-shared by Iowa chapters to purchase more than 732 public wildlife areas (85,638 acres) with natural resource agencies, all of which are now permanently protected critical habitat acres open to public hunting. Additionally, PF/QF in Iowa has spent over $6.8 million on youth outdoors programs to introduce more than 55,000 youth to our hunting heritage and conservation. National Pheasant Fest & Quail Classic is the country's largest event for upland hunters, sport dog owners and wildlife habitat conservationists, combining a national outdoor tradeshow, wildlife habitat seminar series, and family event complete with puppies, tractors, shotguns, and art. The event is open to the public. If you’re interested in exhibiting at Pheasants Forever’s National Pheasant Fest & Quail Classic 2015, contact Brad Heidel, Pheasants Forever and Quail Forever’s director of corporate sales, at (651) 209-4956 or email Brad. For media inquiries, please contact Rehan Nana, Pheasants Forever and Quail Forever's public relations specialist, at (651) 209-4973 or email Rehan. 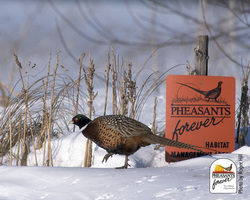 Pheasants Forever, including its quail conservation division, Quail Forever, is the nation's largest nonprofit organization dedicated to upland habitat conservation. Pheasants Forever and Quail Forever have more than 140,000 members and 745 local chapters across the United States and Canada. Chapters are empowered to determine how 100 percent of their locally raised conservation funds are spent, the only national conservation organization that operates through this truly grassroots structure.